Looking at the front page of this blog, I realize that it’s been over six months since I posted anything here. I’m sorry for the long absence. This year has been a blur, with some pretty intense work, personal, and mental health struggles. Blogging took a backseat to just getting through the often very rough days. But I’m coming out the other side now, and I can’t think of a better way to kick off a renewal* than by going back to the themes of skincare as a tool for self-care that many of us have taken to heart. *I promise this will be a better “renewal” than the typical product “renewal” that leaves us with fewer beloved ingredients, a corner-cutting new formulation, and ugly new packaging. I’ve spent a lot of time at the beach, stomping around and attempting to de-stress. Always with sunscreen, of course. I think many of us are familiar with the feeling of being in survival mode, whether it’s practical survival or mental and emotional survival. Hunkering down and dragging ourselves through the bare necessities of each day, tunnel vision firmly focused on whatever it takes to just get through the present, without the energy for extras or much ability to find joy in those extras even when we do partake. It’s a vicious cycle. As we trim away those small sources of joy in our everyday lives, we’re left with less and less to enjoy, and the days get gradually harder and harder to get through. 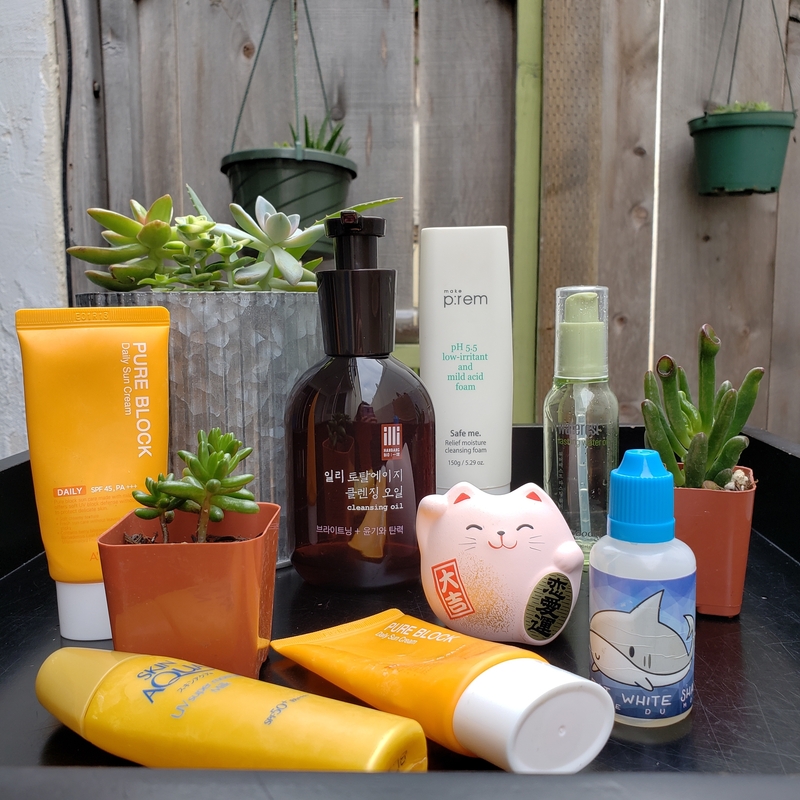 I have written before and often talk about skincare as one of those small sources of joy and tools to help maintain some sense of pleasure and emotional equilibrium when we’re struggling elsewhere in our lives. I still believe it very strongly. I tried even at the most difficult points to keep it up. I might not have been sheet masking every night for a while, and I might have cut down my routines quite a bit, but I did keep going, and it did help me. I know it’s helped many of you guys as well. It’s not about beauty, even though we’re talking about beauty products here. It’s not about trying to look like any particular standard or trend or celebrity or Instagram face. Personally, I’m at the point where I just hope to look like the best and healthiest version of myself–no more than that. It’s about taking care of some part of your body in a way that brings a little enjoyment to your day. It’s about reminding yourself that you still value yourself and that you still are yourself even when circumstances are hard. If you happen to enjoy beauty products, skincare can be a great way to do so. But I’m preaching to the choir here, so I’ll skip ahead to the actual point of this post. If dabbing and patting and slapping on a few beauty products at the end of the day can even slightly improve our outlook or how we feel about ourselves, then it makes sense to share that experience with those who could really use it and may not have access to the actual physical products at the moment. That’s why Tracy from Fanserviced-B, Chel from Holy Snails, Cat from Snow White and the Asian Pear, and I have teamed up for a Giving Tuesday project with the Women’s Aid Service in Michigan. Serving the Clare, Gratiot, and Isabella counties of Michigan, the Women’s Aid Service works directly with survivors of domestic violence and sexual assault, providing safety, shelter, treatment, and education and working to interrupt the cycle of violence. I talked a bit above about “survival mode” in the context of my own comparatively very minor problems; the people that the Women’s Aid Service helps are in survival mode in a very real and very serious way. Beauty products may seem inconsequential in their situations, but in times of crisis, feeling like you are still yourself and doing something–however inconsequential–to value yourself can make a world of difference. So we’re sending unopened and unused beauty products. Many of us, particularly bloggers, have plenty of excess: things that were sent as PR, that we either know won’t work out for us or that we simply don’t have enough time and face to use, or things that we purchased for review but lost interest in or pushed down on the priority list. I have about half a closet full of items that could use a good home, and I’m very excited to give them one. You can join in by shipping your unopened beauty products, including deluxe and foil samples, to the Women’s Aid Service, which will get them to survivors. There’s always more where these came from. If you’d like to give to a shelter or aid organization but prefer to keep it local, definitely check the options in your area. There are people we can help everywhere. 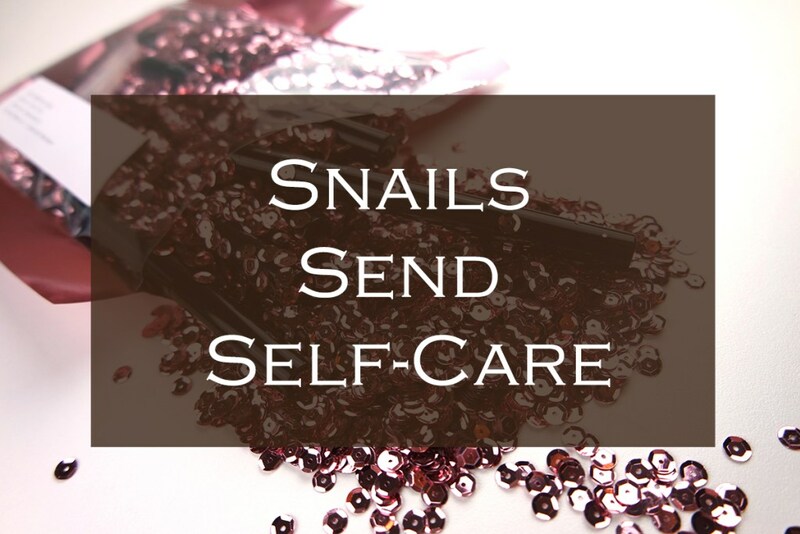 As another option (especially attractive if you’re running low on your own skincare), Holy Snails will be donating 10% of all sales to Women’s Aid Service for a full month, from November 27, 2018 to December 27, 2018. If you’re curious about what to buy, I will always highly recommend the Shark Sauce brightening and hydrating serum, and the Great White Shark Sauce Du Mois, my current love. Great White contains 10% MAP vitamin C on top of the Shark Sauce goodness. Chel offers gift sets and samples, too. I try to be sparing in my mentions of Holy Snails, because Chel is a very good friend of mine and I don’t want to come across as shilling for my (amazing and brilliant) friend, but I think it’s appropriate here. The concept of self-care has become a very commercialized one, especially when it describes the use of consumable goods like beauty products. Beauty capitalism has taken the term and turned it into marketing. But when self-care, whether through skincare or makeup or any other avenue, gives someone who’s going through a crisis some means of feeling even a little better, a little happier, a little more human, then it is perfectly valid and incredibly important. Let’s get together and spread the gift of self-care! And if you post about your giving on social media–a great way to encourage others to do the same!–please use the hashtags #givingtuesday and #snailcare2018, and feel free to tag us (I’m @fiddysnails on IG and Twitter). We’d love to see what you do! It’s so nice to hear from you! This sounds like a great idea….and having some sort of self-love, as small as having moisturizer is such a nice feeling and act for one’s self. Hope all is well with hope staying with you. As soon as I get home Im going to rummage through my bathroom and send off what Ive stockpiled but probably wont use because I buy way too much stuff and I have just one face. Thank you for this wonderful, purposeful thought. That is so great! Thank you for reading and participating! Went home and found a lot of hand lotions and body butters, mascara samples, perfume samples up the whazoo, fake eyelashes, beauty sponges, Sunday Riley cleansing balm deluxe sample, belief eye bomb samples, Farmacy sleeping mask deluxe sample, ipsy makeup pouches, liquid eyeliner stil in package. Ill send using USPS flat rate box. Thank you again for this wondetful idea. I hope this catches on because Im sure Im not the only beauty hoarder out there. Great idea! Packed up a box of great stuff and will send tomorrow. I made sure everything had product name and directions in English, as it may be less than helpful for the packaging to be entirely in Korean or Japanese :). And of course, glad to see you back. My den has become a makeshift face care/cosmetics store. I faithfully go through and toss anything expired (whether used or not), so I know everything is unopened and fresh. I will gather a box and ship it off. So happy to find a home for it all! Very glad you’re back, and I hope things stay on the right track. I, too, had a rough past year and completely understand that certain things must take a back seat. And I agree that the 15-30 minutes of “me time” skin care was one of the few things I continued to enjoy daily. Looking forward to your future posts. We missed you! !